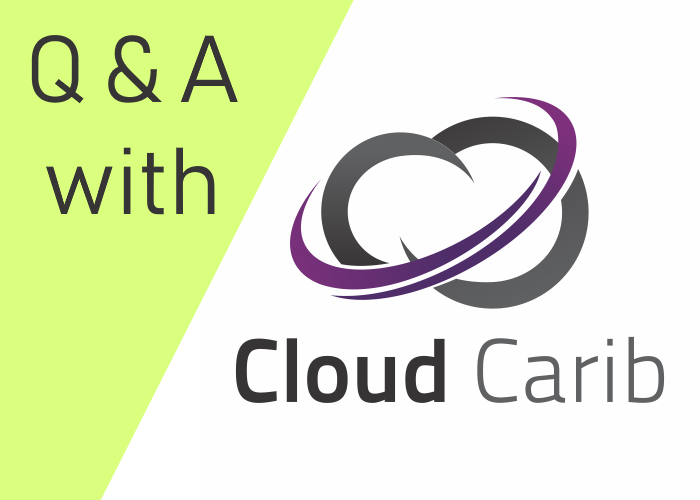 Briefly tell us about Cloud Carib and what sets you apart? Cloud Carib is a trusted cloud provider in the Caribbean and Latin America. Headquartered in The Bahamas, we are focused on delivering secure and hybrid infrastructure solutions and managed services to the region through locally operated data centers in the Bahamas, Jamaica, Barbados, Panama and Ecuador. Our services and solutions are built with privacy, data sovereignty and performance in mind, ensuring business-critical applications are always secure and available. Our focus on delivering secure cloud solutions combined with our team of technical experts enables regional organizations to confidently leverage cloud technology, improve the performance of their ICT environment, and focus on providing value to their end-customers instead of worrying about maintaining infrastructure. Cloud Carib is focused on building a team of experts from the region and around the world, and bringing them together to solve problems and deliver service excellence to our clients. Our team loves to tackle complex problems within the most challenging environments. This is what truly sets us apart. Moving to the Cloud can seem like a daunting task, especially if your organization lacks the adequate expertise, time and resources to do so. Working with a regional cloud services provider can alleviate this burden, and provide the necessary technology, tools and experience to smoothly transition your environment to a cloud-based model. Cloud technology enables organizations to be more collaborative amongst their business operations, and responsive to market demand and resource fluctuations. It also provides expertise on tap, enhanced security and more control over costs. The cloud revolution is here to stay, and organizations need to acknowledge that if they wish to remain competitive, relevant and innovative within this region. The telecoms companies in Trinidad and the Caribbean provide cloud solutions and how would this be different from what you offer? Telecoms in the region are primarily focused on providing cookie-cutter approaches to cloud solutions. Traditionally, they also limit the choice clients have in terms of choosing an appropriate carrier for their internet and communication needs, forcing organizations to only use their network. Cloud service providers are carrier-agnostic and provide more choice to create a truly customized environment that meets an organizations specific needs. Your thoughts on mobile and containerised data centers and its usefulness to the Caribbean? The deployment of mobile and containerised data centers is nothing new. The reality is that the practice stems from the drive to provide component or modular based designs within data center facilities. This is driven by the speed of aging out data center facilities post build. The rate of transformation is immense on what can be done today in terms of compute to power density. The area required to house 750 kva of compute resources previously required many thousands of square feet of facility space and today two racks will suffice. Space is no longer an issue; the problem is power consumption or the power-density ratio. Older facilities are simply aging out faster as the power, cooling and core designs cannot keep up with the power-density requirements. The best use case for containerised or mobile data centers is for short-term emergencies or as a part of a modular design for component-based facility construction. Can you talk about green energy as it relates to cloud computing providers? companies – those that specialize in supply of data centers as a facility offering. Cloud service providers, telecommunication companies, and other organisations consume the facility as a service. Tell us about the Cloud Free Trial (linked on your website) and who can sign up for this? Our cloud free trial is geared towards organizations curious about cloud technology and how it can work for their business. They usually do not have any cloud experience, and are looking for the adequate expertise to get started. After a visitor completes the form, it is forwarded to our Sales team who will review their information, verify it is correct, and reach out to schedule a conversation to discuss their specific requirements. If there is alignment, we’ll facilitate a cloud trial period and consult the organization on how cloud can enhance their environment. Not directly. We provide the underpinning service that enables hosting. An example is that we can provide you as a developer a virtual data center (vDC) where you can host servers and, on that infrastructure, provide webhosting to your clients. You mentioned cloud-first in a recent blog post. Can you help us understand what cloud-first means? The concept of a cloud-first strategy is one where government officials, policy specialists, and regional financing agencies aid in advancing transformation. These people tasked with regional development must embrace cloud to truly provide transformational benefits to their citizens. There is no longer a rationale for insourcing ICT for governments and most organisations that are not specialised in technology. The global consensus by the world's leading governments and the fortune 100 is to fully adopt cloud into every aspect of their operation. No longer can governments and businesses afford the cost of simply keeping up to the exponential rate of change within the ICT industry. Only by embracing a cloud-first strategy can leap-frog opportunities of advancement and cost savings be realised. Is the state of internet in the Caribbean (subsea connections, IXPs, speeds, cost, etc.) enough to support this push to use the cloud? Cloud Carib provides service from five data centers within the Caribbean today and we have plans to add an additional three to five in 2018. We are confident of the underpinning technologies within the region or we would not be building a Caribbean and Latin America focused business. There are significant subsea cable networks within the region and associated route diversity through carriers. Although the cost of power and connectivity remain high within the region, the demand for service allows for competitive pricing which makes the Caribbean a perfect match for data residency.